Defusing explosives and mines, as the White Helmets say they’ve done in Afrin, is normally performed by specialized military experts, not paramedic first-responders who have claimed – falsely – to have been trained by the Red Cross. After being banned by the Kurds in 2015, the White Helmets – the controversial “humanitarian” group that exclusively accompanies particular Western and Turkish-backed terrorist groups – have announced their return to the city of Afrin. The move follows the city’s takeover by the Turkish military and Turkish-backed rebels linked to terrorist groups, such as the Free Syrian Army (FSA). The group had originally been banned from Afrin by the Kurds due to their association with extremist groups like FSA and others. Since Turkish forces and their proxies took over the city, in fighting that some reports say killed around 500 civilians, reports of ethnic cleansing have surfaced. Members of Turkish proxy forces, such as the FSA, have threatened to massacre Afrin’s majority Kurdish population unless they convert to the variant of far-right Wahhabi Islam shared by terror groups like Daesh (ISIS) and al-Qaeda. Such demands often precede the mass-murder of ethnic and religious minorities by foreign-funded terrorist groups operating in Syria. However, the White Helmets, despite their often-touted “humanitarian” leanings, have failed to make any public comment on the killings. 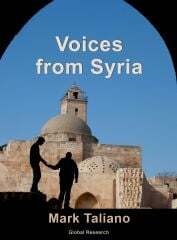 Such silence is unsurprising for those who have followed the White Helmets’ actions in Syria over the years, where they have aided terrorist groups in the execution of civilians and have used children – both dead and alive – as props for pro-intervention propaganda intended to benefit the groups’ bids to topple the Syrian government. Do they even know how to apply a bandage? Recent praise for the White Helmets in Afrin, coming from Turkish state media, provides further evidence that the White Helmets are a propaganda construct and not a first-responder group. According to reports, the White Helmets – which were actually founded in Turkey — have been “defusing the numerous mines and explosives” found in and around the city. 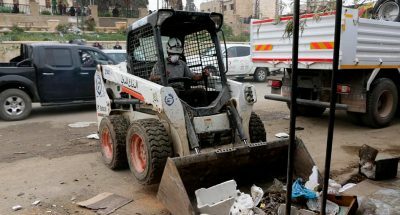 One report cites Ismail Nassan, a White Helmet member, who stated that “lots of mines have been planted [in Afrin]. We have defused most of them.” Defusing explosives and mines is normally performed by specialized military experts, not paramedic first-responders who have claimed – falsely – to have been trained by the Red Cross. The White Helmets’ reappearance in Afrin, alongside groups that have called on video for the ethnic cleansing of Kurds in the city, is just the latest example illustrating how the organization is paraded around to provide logistical support for — and improve the public image abroad of — those groups that seek to wipe out Syria’s ethnic and religious diversity as well as its independence from the U.S. and its allies.